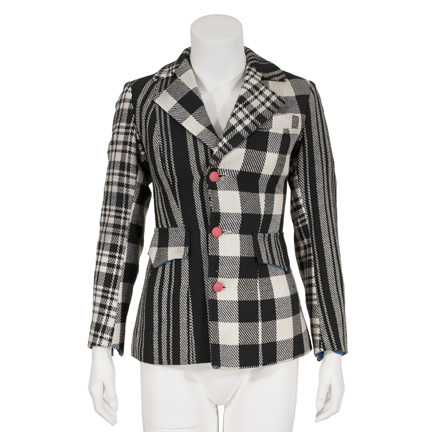 This jacket was worn by actress Goldie Hawn in “Rowan and Martin’s Laugh-In”. 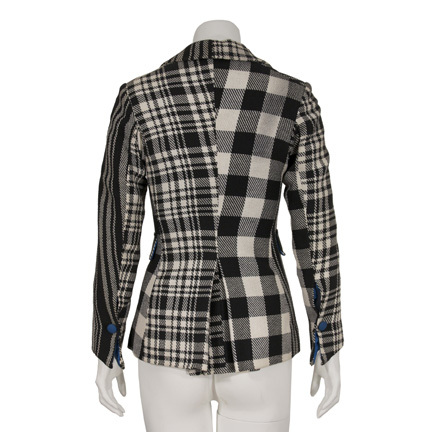 The garment is constructed of mismatched black and white plaid and checkered wool. 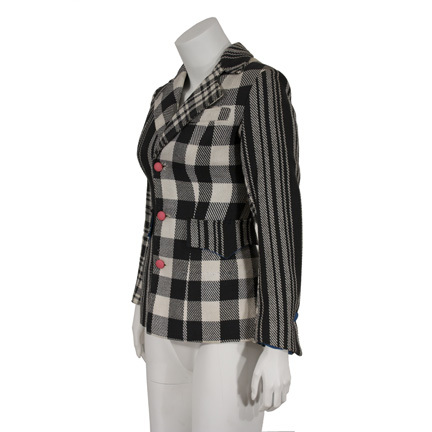 The interior and flap pockets are lined with blue material and the front has bright pink buttons. 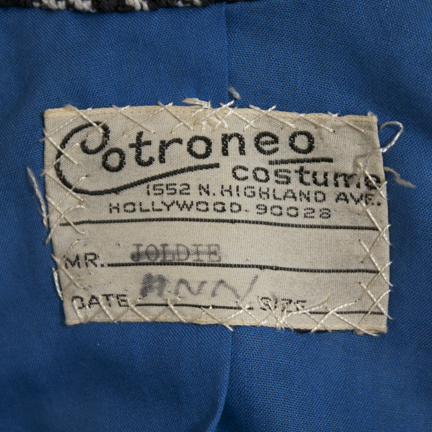 The jacket was custom made for the actress by Controneo and has the original label sewn inside with the slightly misspelled name “Joldie” (sic) clearly typed. Her name was crossed out and the name “Ann” was handwritten below indicating its use in a subsequent unidentified production. 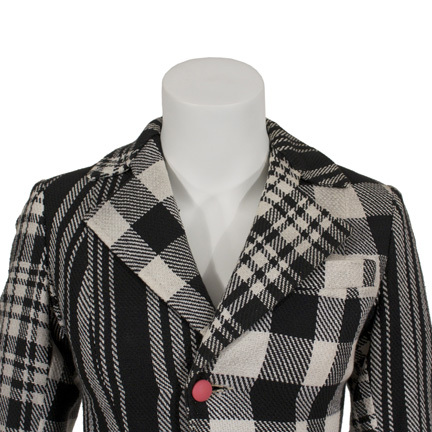 Ms. Hawn wore the jacket in Season 3, Episode 2 of the series during a musical comedy sketch sequence that included the entire cast wearing similar jackets and featured actress Greer Garson. 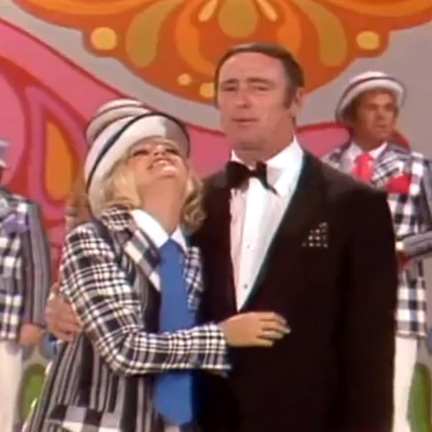 The episode aired on September 22, 1969 and guest starred actor Michael Caine and singer Diana Ross. 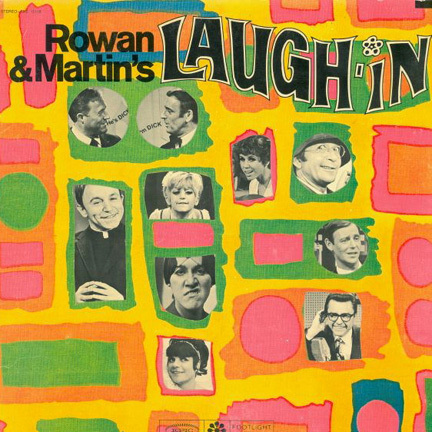 “Rowan and Martin’s Laugh-In” ran from 1967 – 1973 and featured a rotating all-star cast along with guest star appearances by all the top entertainers of the era. 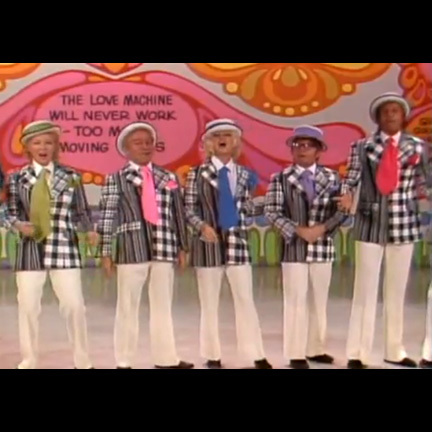 The groundbreaking series received numerous awards and nominations over the course of its impressive six-year run, including Emmy Awards for Outstanding Musical or Variety Program, Outstanding Musical or Variety Series, Outstanding Writing Achievement in Music or Variety, Outstanding Directorial Achievement in Variety or Music, as well as a Golden Globe Award for Best TV Show. Ms. Hawn also received a 1970 Emmy Award nomination for Special Classification of Outstanding Program and Individual Achievement (Individual) for her work on the series.